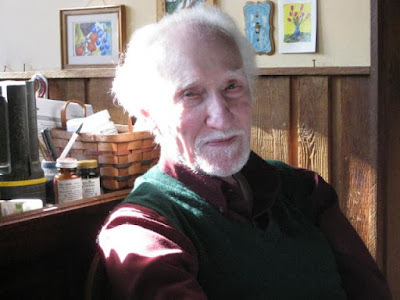 The material quoted above comes from Hedges' November 2015 tribute to Wolin. That article was written well before the election of Donald J. Trump, and the article is well worth reading. 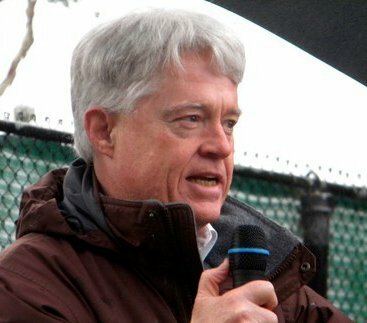 More recently, Hedges has returned to a discussion of "inverted totalitarianism" in an article titled, "The Bankruptcy of the American Left." That article is well worth reading, too. 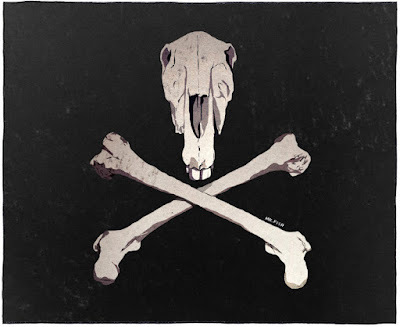 Hedges illustrates his recent article with the somber skull and cross bones shown below, but bankruptcy is not the same as death. Donald J. Trump, actually, and his bankruptcy-ridden business career, has proven the truth of that! However daunting our situation may appear, from the point of view of political analysis (and I think Hedges and Wolin are on the money, analytically), there are no inevitabilities in the political world in which we most immediately live. Dark as our times may be (and dark they are), we do have concrete grounds for an optimistic view. If nothing is inevitable, including what currently exists, there will always be an opportunity to change the realities that are so discouraging to contemplate. Change, of course, will require us to move from a position of observation and contemplation to a position of action and organization. Changing the world means we must change the way we allocate our time. We had better change that allocation, too, because if we don't, Hedges' choice of an illustration for his article will be prophetic!